The Legislature debated a bill April 9 intended to ensure civic competence among Nebraska students. Under current law, each school district’s board is required to appoint three members to an Americanism committee that inspects and approves the textbooks used in the teaching of American history and government. As introduced by Bancroft Sen. Lydia Brasch, LB1069 would make several updates to state law regarding the committees’ responsibilities and the teaching of American history and social studies. Brasch said the bill is meant to ensure that schools give students foundational knowledge of American history and civics—subjects that she fears some schools do not emphasize. “We’re falling behind on that knowledge,” she said. Senators voted 27-13 on March 29 to place the bill on general file, even though the Education Committee had taken no action to advance it. This unusual maneuver requires a majority vote of the Legislature. The committee also would be required to ensure that the district develops and gives assessments to eighth- and 11th-graders to measure mastery of the social studies standards. The assessments would include, but not be limited to, the civics portion of the naturalization exam administered by U.S. Citizenship and Immigration Services. The scores for each student would be made available to the parents or guardians of the student. Sen. Mike Groene of North Platte supported the amendment. He said the state Department of Education asked for clarification of the Americanism statute—which has been in place since 1949—before it revamps state social studies standards next year. LB1069 would modernize the law in several ways, Groene said, including by adding Dr. Martin Luther King Jr.’s birthday and American Indian Day as occasions on which the superintendent of every school holds patriotic exercises. Sen. Steve Halloran of Hastings also supported the amendment, saying that requiring students to take the civics exam would teach them foundational knowledge of American history and government, including the Constitution, the three branches of government and states’ rights. “We can’t expect our students to graduate with less knowledge than new immigrants will have when they’re successful at becoming new citizens,” he said. 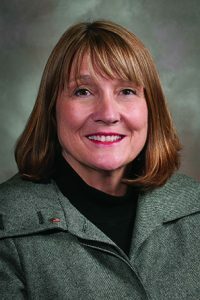 Sen. Kate Bolz of Lincoln said that any changes to curriculum regarding American history and civic engagement should include the movements to secure civil rights, women’s rights, workers’ rights, voting rights and rights for people with disabilities. “Debating a bill about Americanism without debating our history and about the rights that have been fought for by all kinds of people who have overcome oppression is not, to me, a debate about Americanism at all,” she said. Lincoln Sen. Adam Morfeld opposed the amendment, saying that it emphasizes rote memorization of facts instead of teaching critical thinking skills and civil discourse. “We build good citizens by ensuring that people have critical thinking skills and the ability and the confidence to tackle issues in their community,” he said. The Legislature adjourned before voting on the amendment or the bill. LB1069 is unlikely to be scheduled for additional debate this session.